OK, I can dream...dream about cooler weather, pretty lights, decorations, the smell of pine trees and baking...oh yes. The weather has "cooled" down a bit to the mid 90s. My crockpot is getting a workout because it's too hot to turn on the oven! But I can still dream about Christmas! And you can start pinning away all these fantastic projects! Christmas morning in our house starts with cinnamon rolls. While the kids sit in the living room and rip through the presents, cinnamon rolls are heating up in the oven, making the house smell absolutely amazing. Once the presents are opened, we go right to warm and gooey breakfast without a lot of fuss. Over the years I've tried several recipes, but this one I created last year was hands down the best. It was so good, it took a blue ribbon at the fair! Now do you want more great projects? Monday, July 23rd for Holiday Fare Melissa's Cuisine, and Go Ahead Take a Bite You won't want to miss their fabulous recipes! Micki, your cinnamon rolls look so good I can almost smell them from here! You are an industrious one to make these Christmas morning. These would be a fabulous hostess gift too! These look great!! I'll have to make these for sure! These look so good! Thanks for sharing at our Handmade Tuesdays party. Oh YUM!! 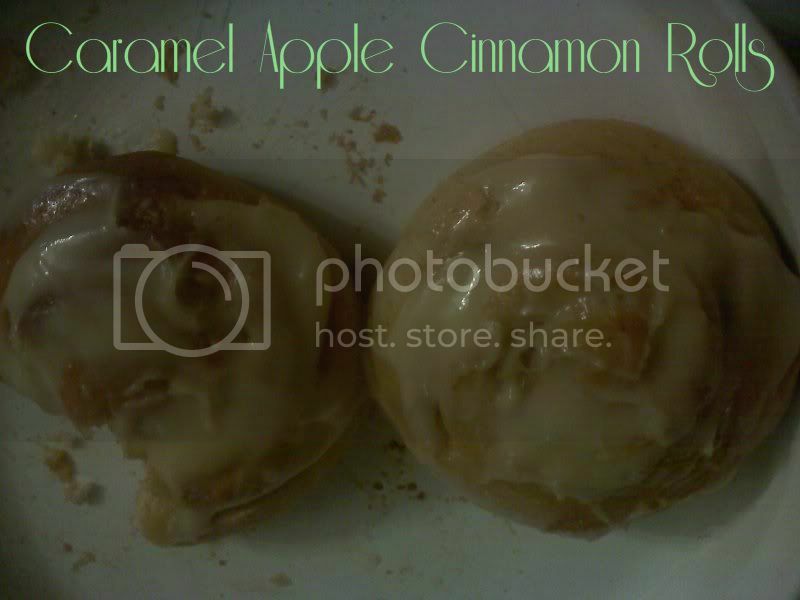 Caramel and apples in a cinnamon roll = MUST TRY!! Sound wonderful with cream cheese, apples and spices -- mmm! Thanks for sharing on Busy Monday! Micki, these sounds amazing! I love cinnamon rolls! Thanks for being my first link up on the Back For Seconds Social!! I made these this morning for my husbands unit. They disappeared so fast with them salivating for more! Someone may or may not have been seen licking the pan for the yummy caramel-y goodness! Thanks for the recipe! It's fabulous! !